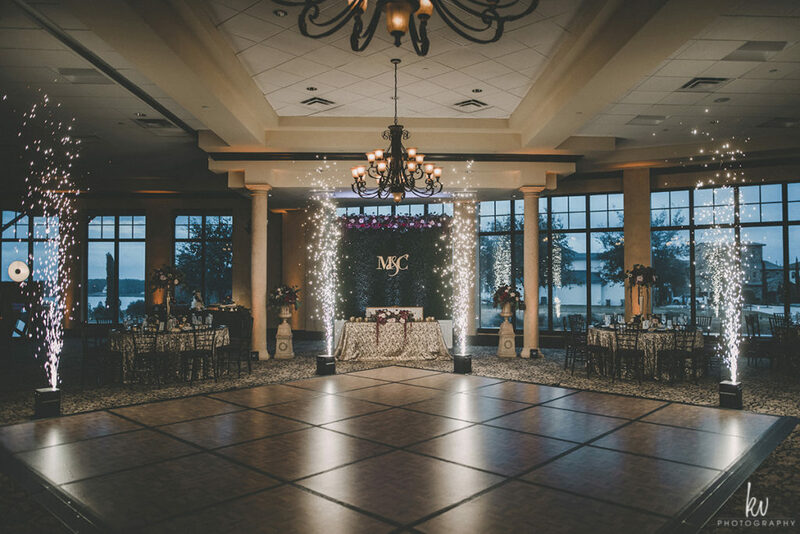 The Orchid Garden is a classic Orlando location. 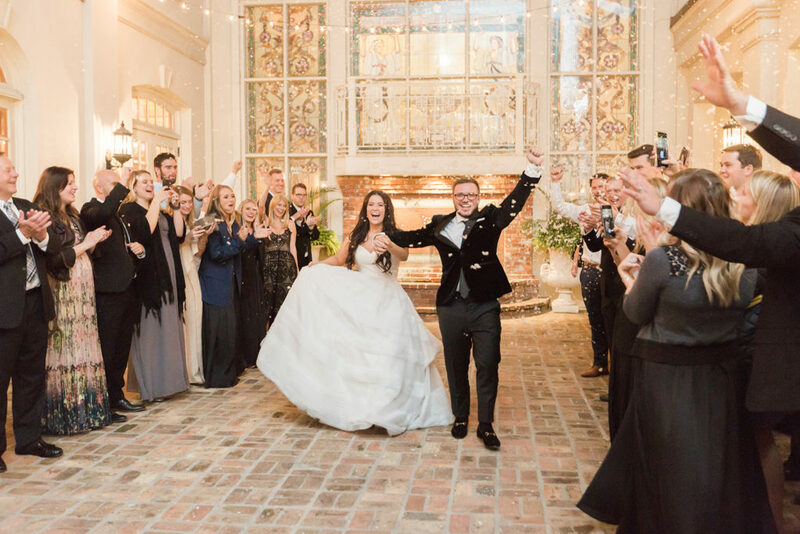 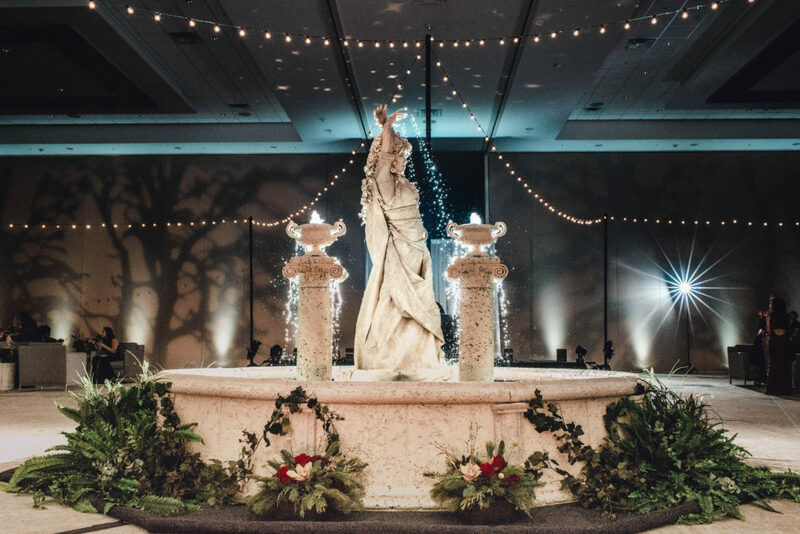 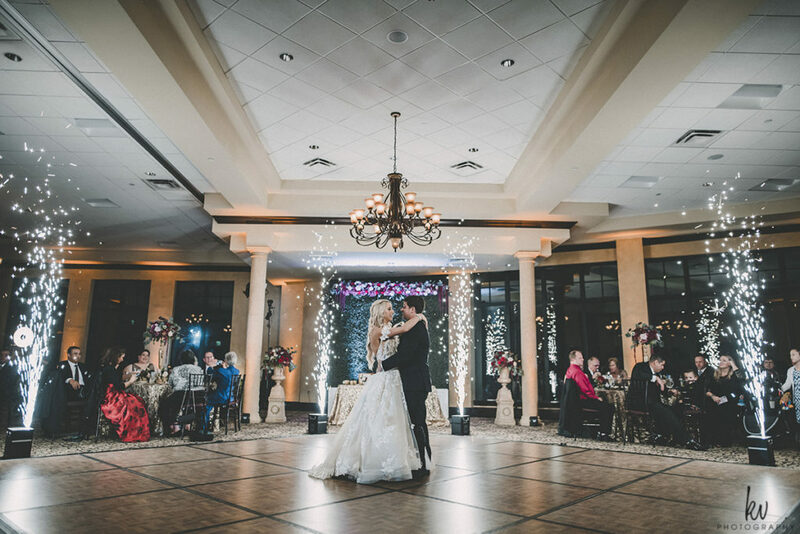 Built in the 1980’s, this New Orleans courtyard inspired venue boasts real marble, intricate stained glass windows, stunning brass lighting fixtures, and dramatic wrought iron railings. 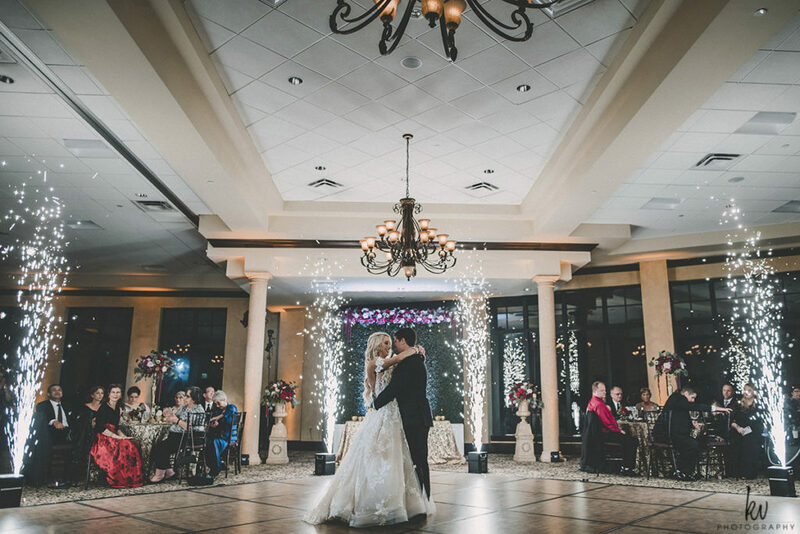 It’s the perfect place to begin your happily ever and we always have such a great time working weddings here. 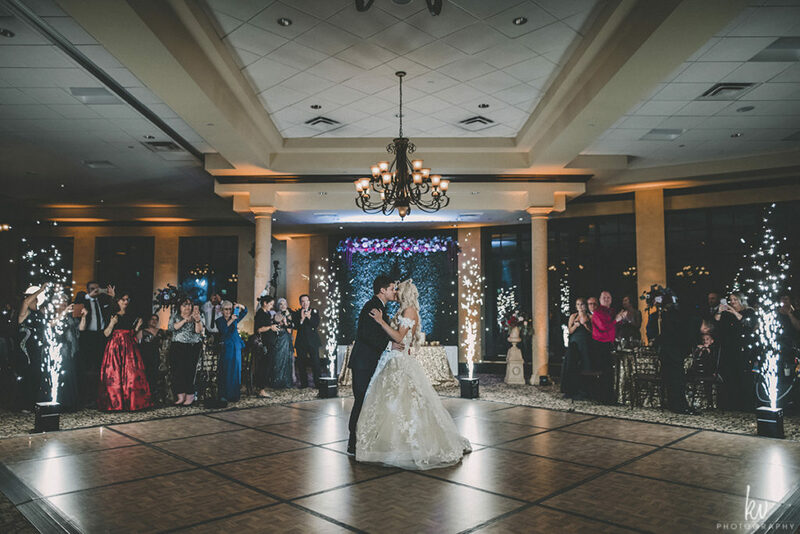 Zac and Allie choose this beautiful venue to exchange their vows and we were delighted to help them bring their vision to life. 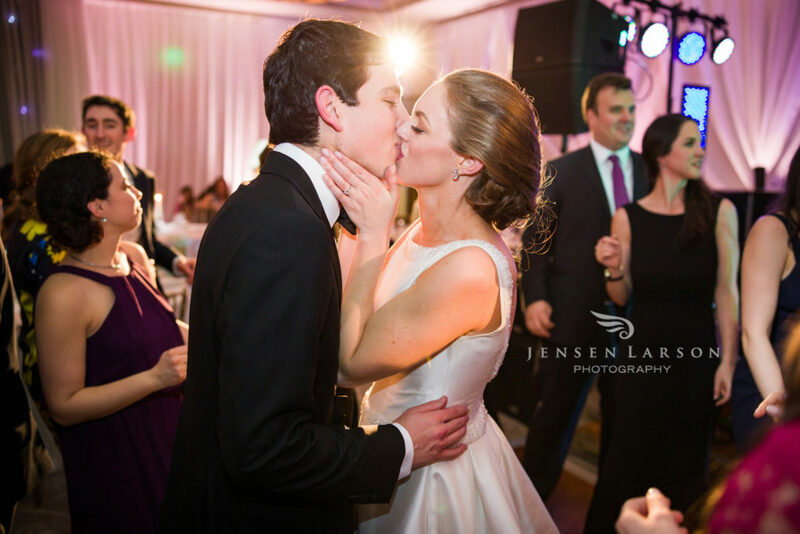 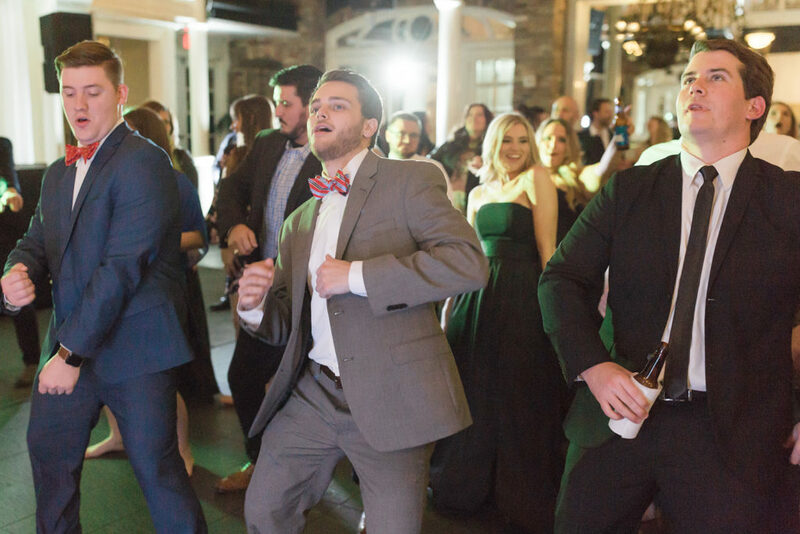 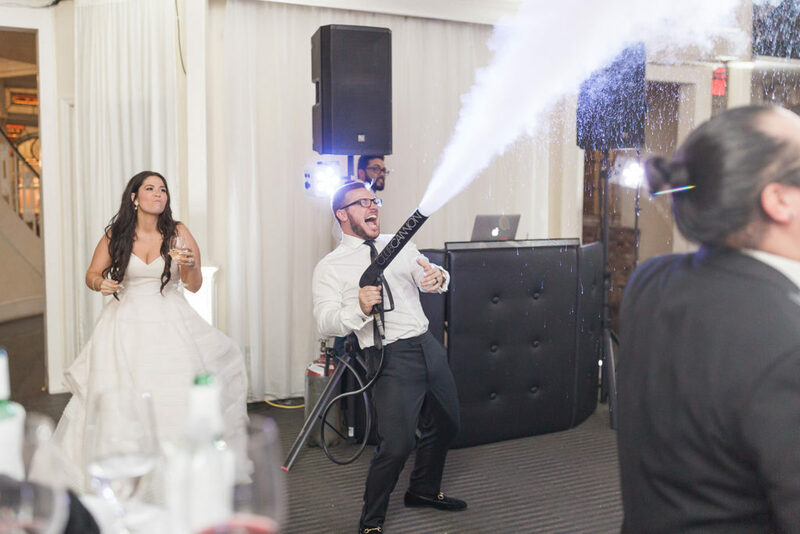 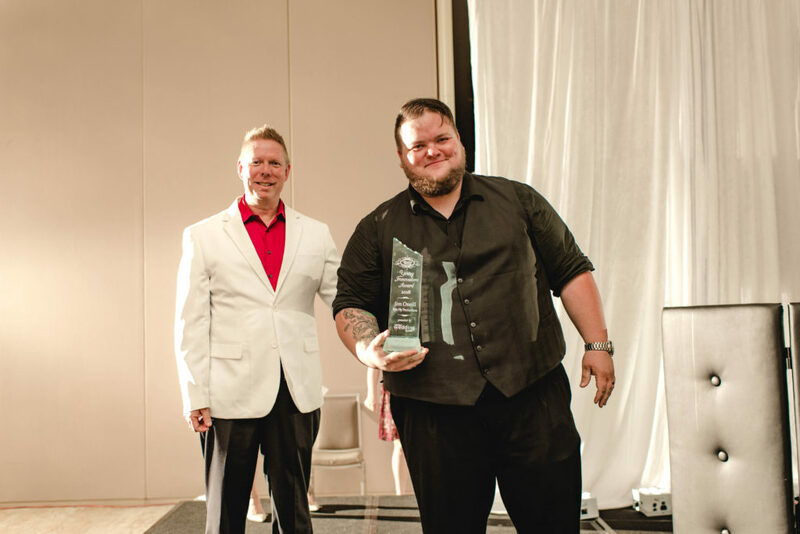 We added some unforgettable fun to their wedding reception. 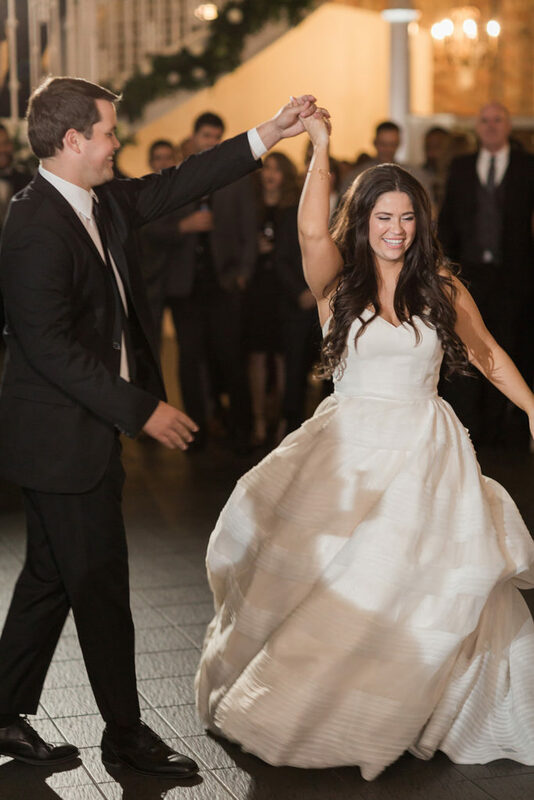 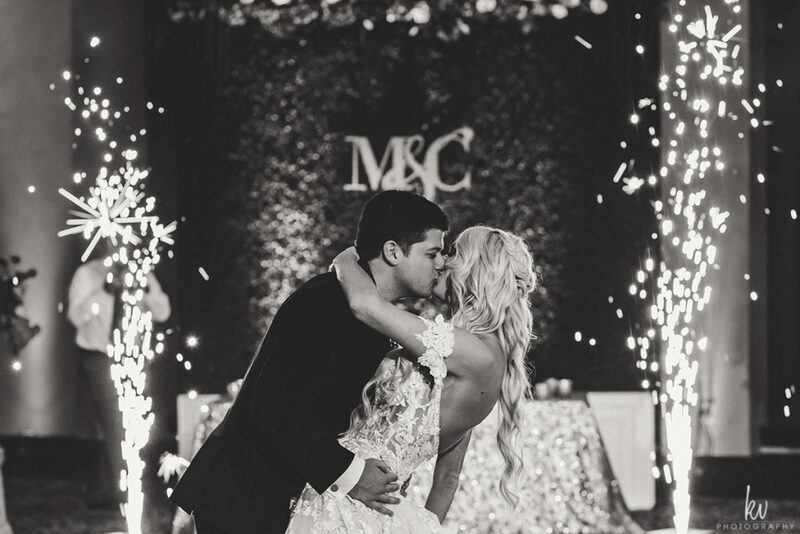 Zac and Allie’s special day was filled with so many unforgettable moments. 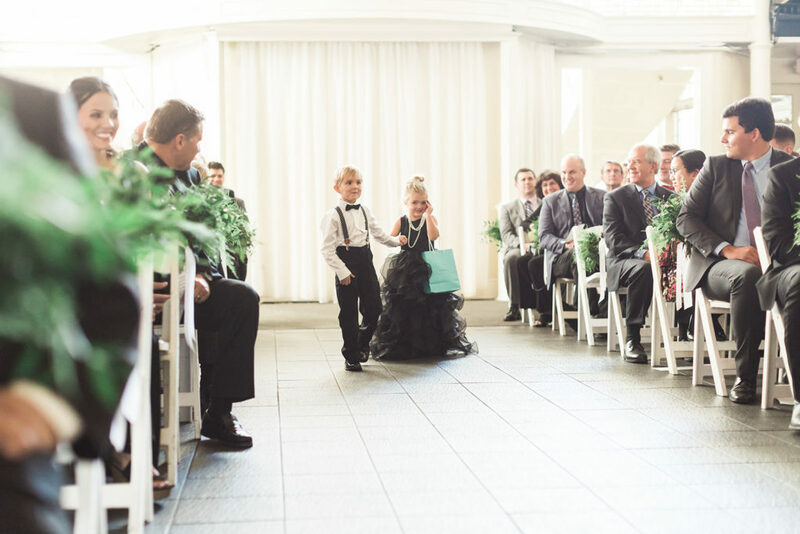 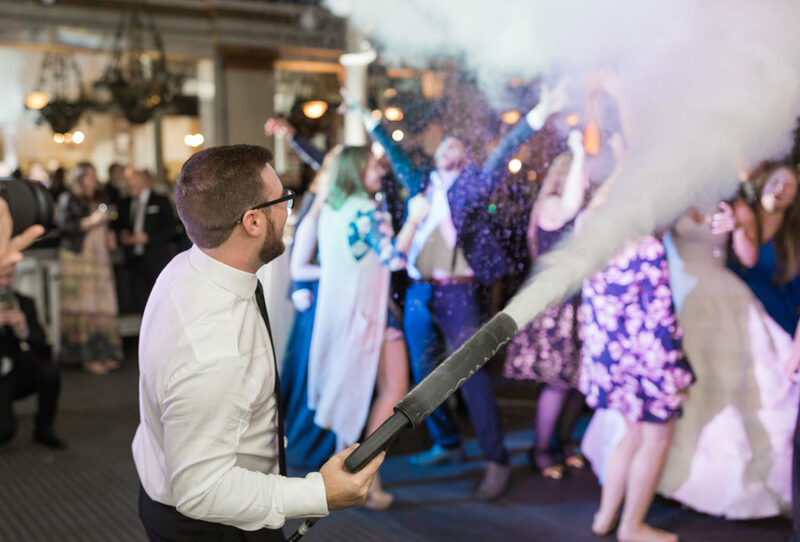 Some of our favorite moments were the ceremony that took place on the iconic staircase, the mini Audrey Hepburn inspired outfit that the flower girl wore, and wowing the guests with our fog cannons on the dance floor. 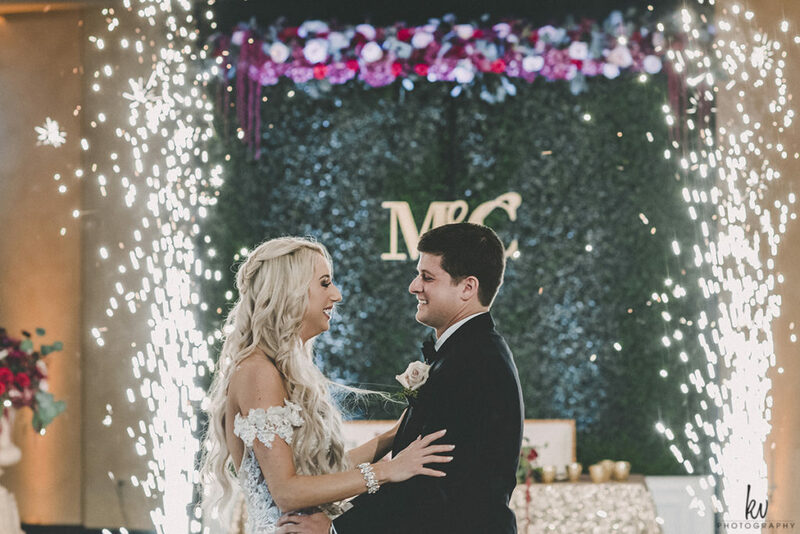 We hope Zac and Allie’s marriage continues to be filled with special moments filled with love and laughter. 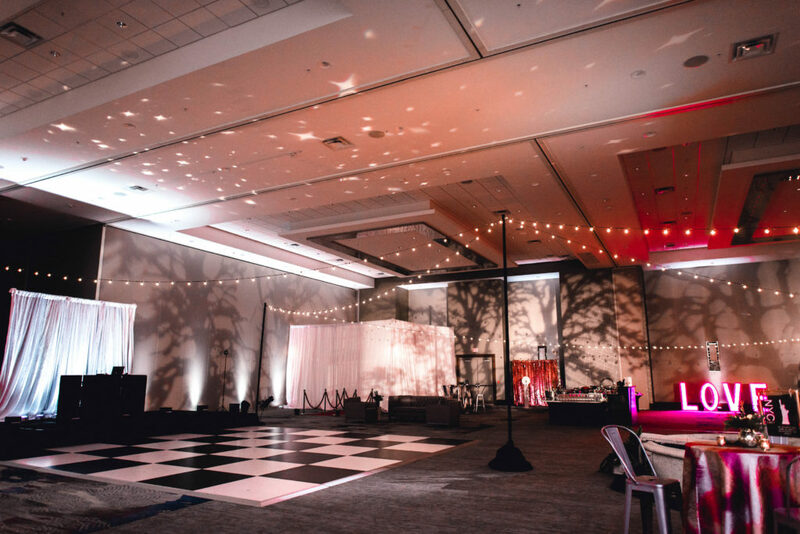 Lighting brings an event to life. 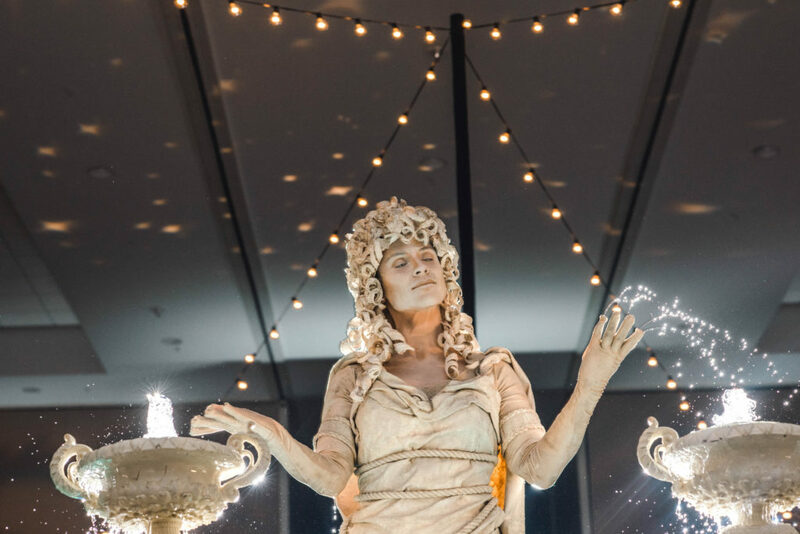 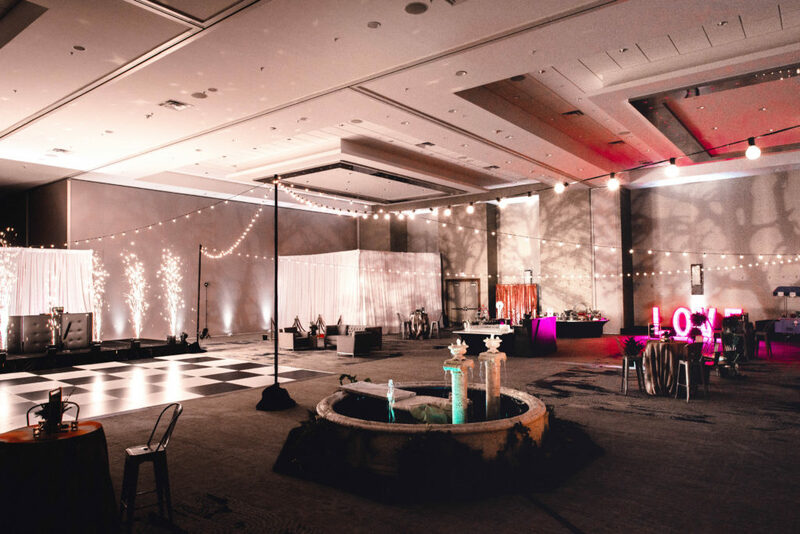 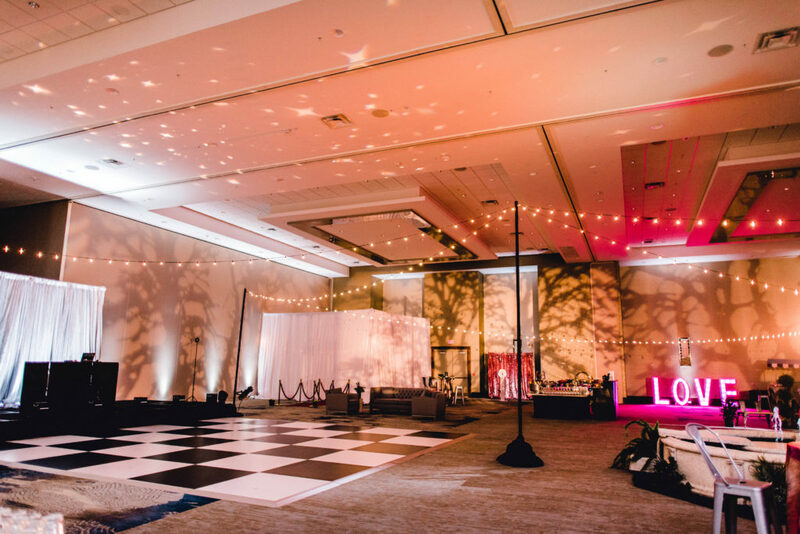 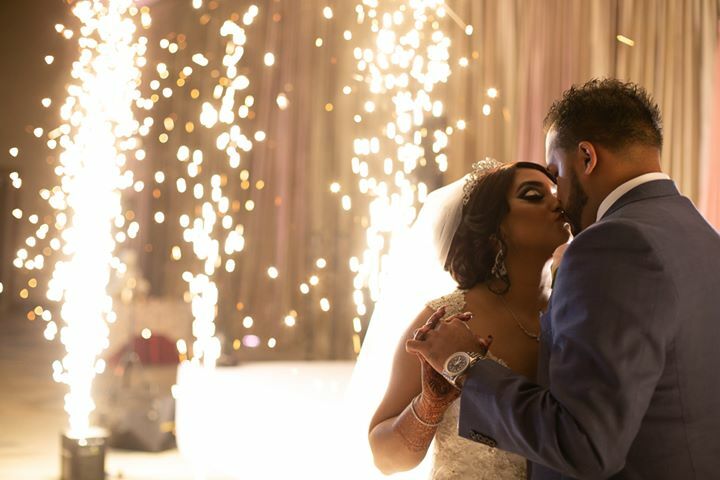 Whether it is creating a relaxed mood for your guests or ensuring that all eyes are on you during those extra special moments, amazing lighting can really elevate your entire event. 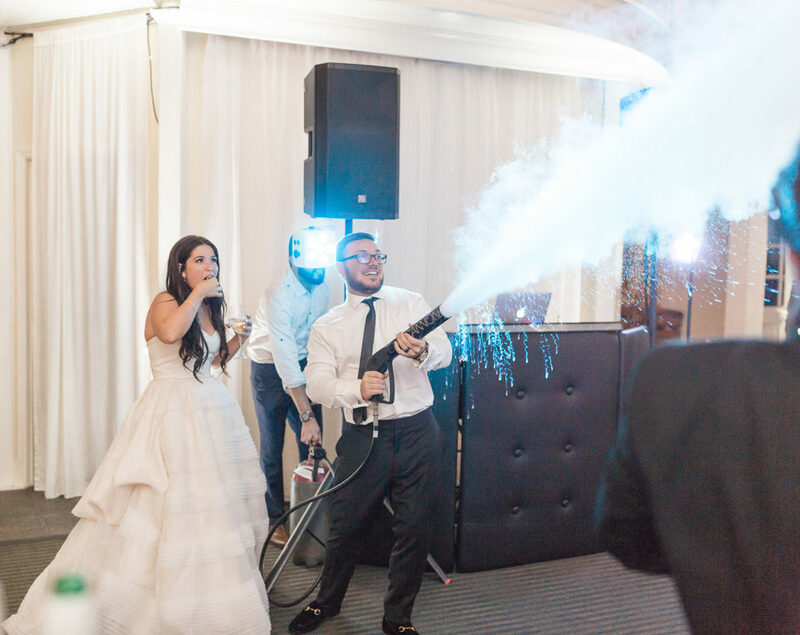 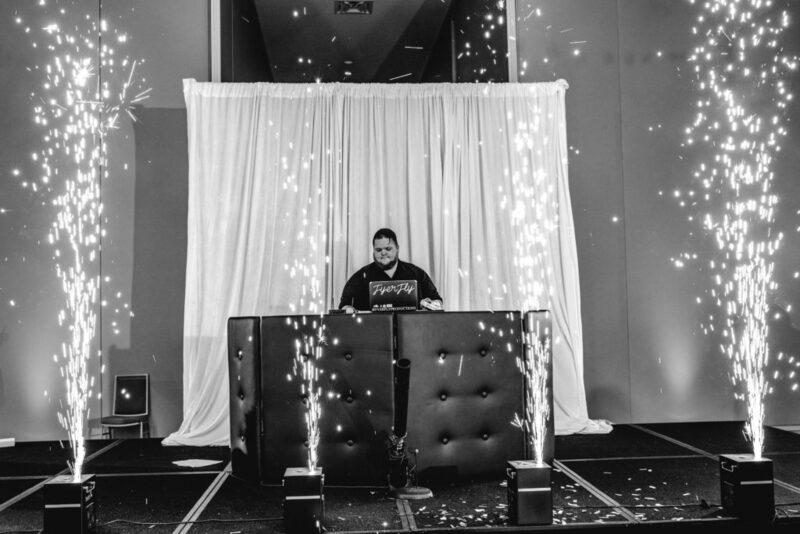 We had such a great time making sure that the bride and groom’s big day was lit to perfection. 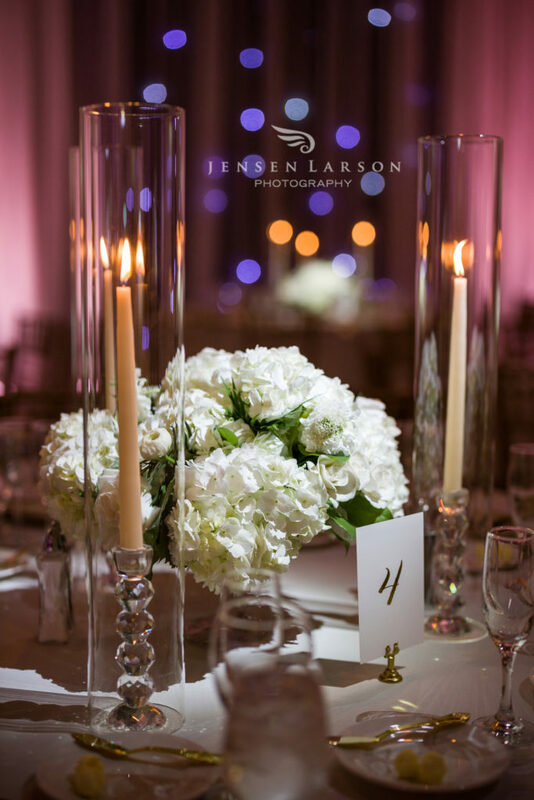 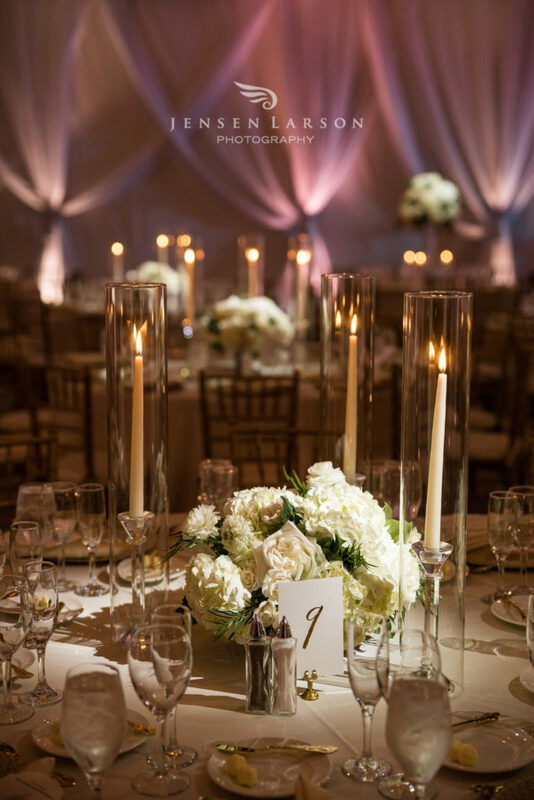 The reception lighting was incredibly romantic which paired well with classically beautiful centerpieces and candlelight. 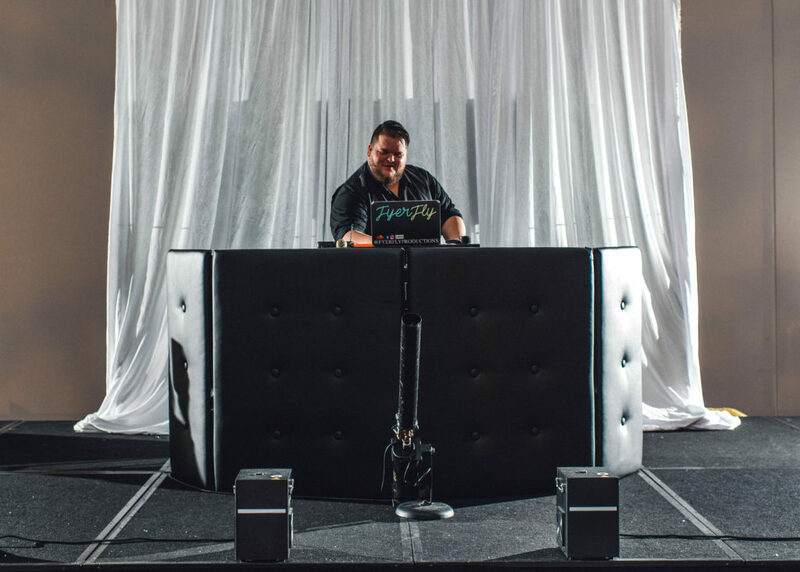 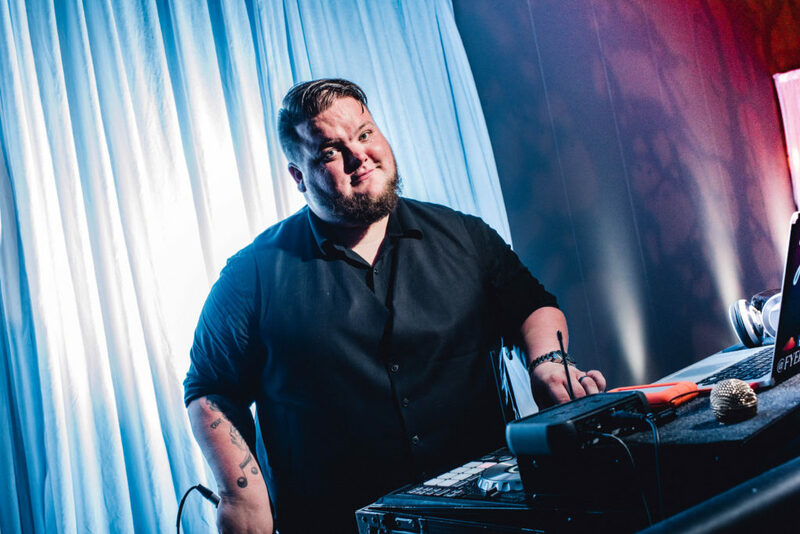 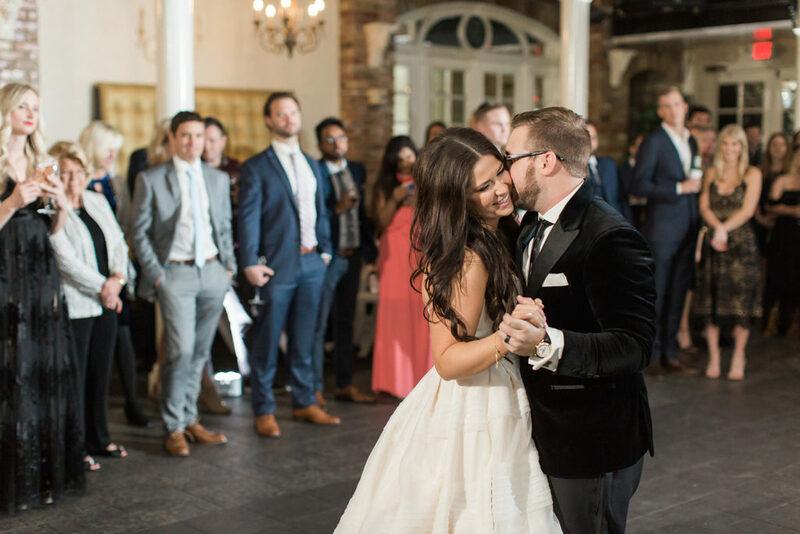 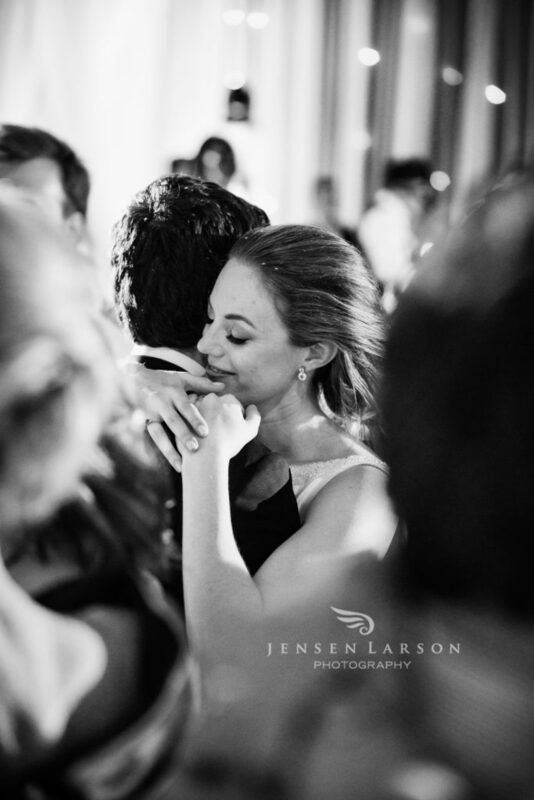 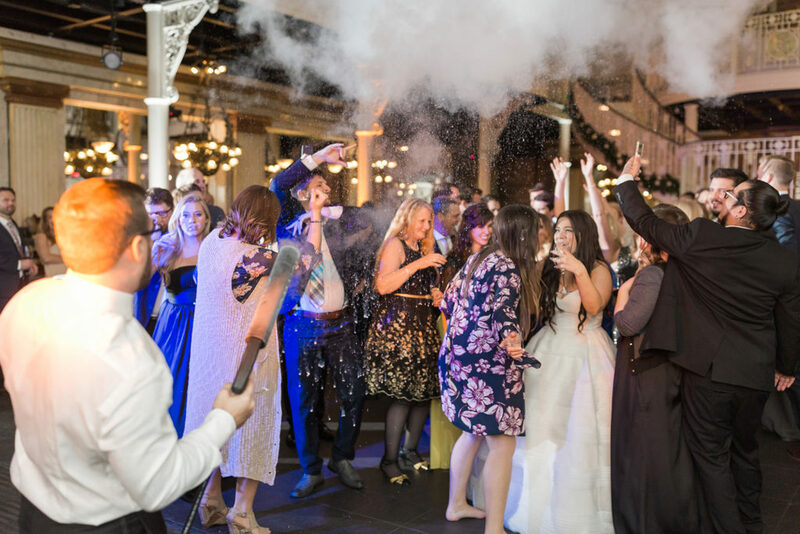 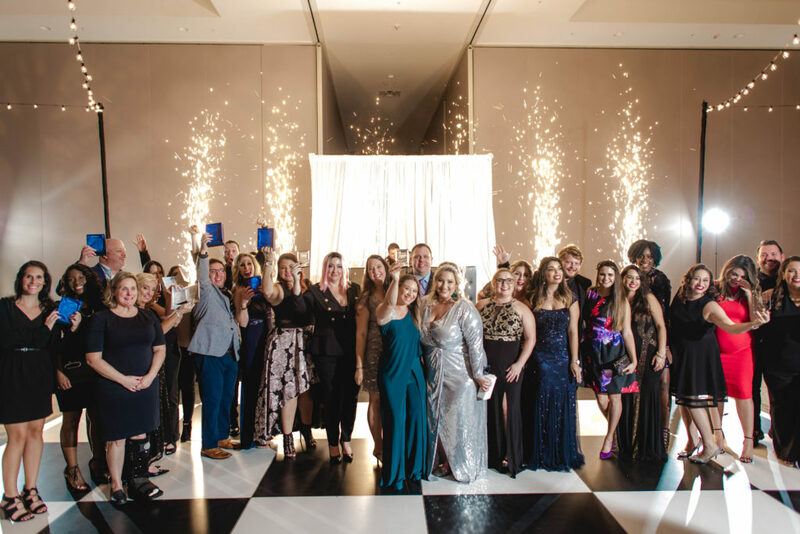 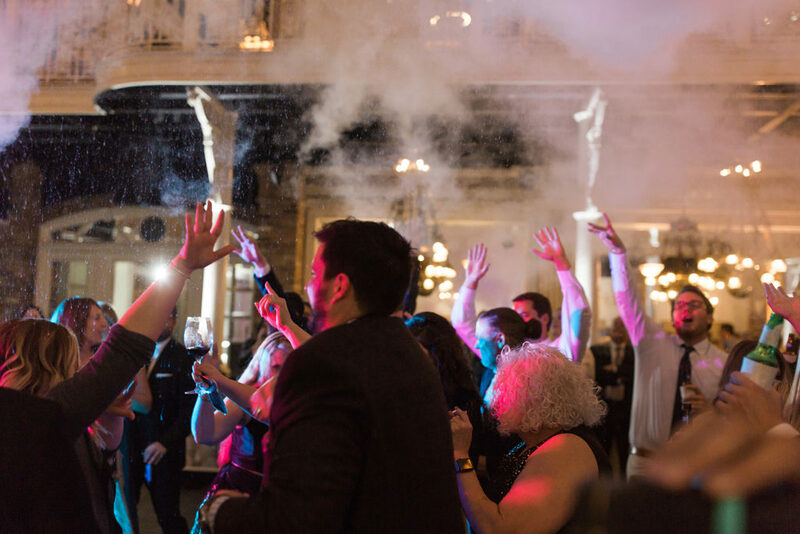 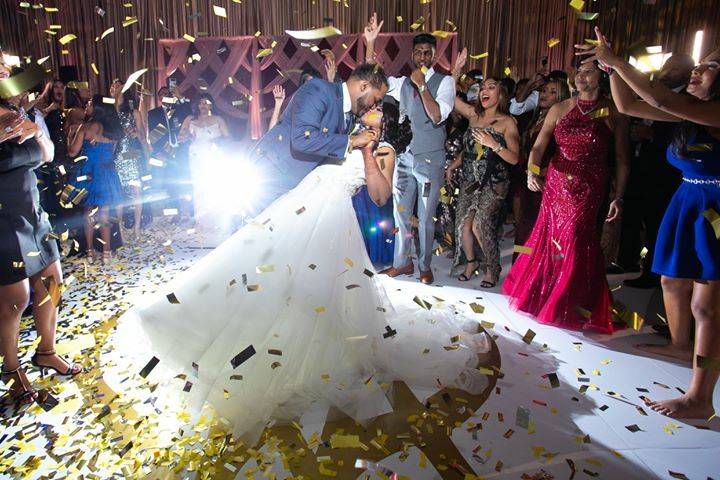 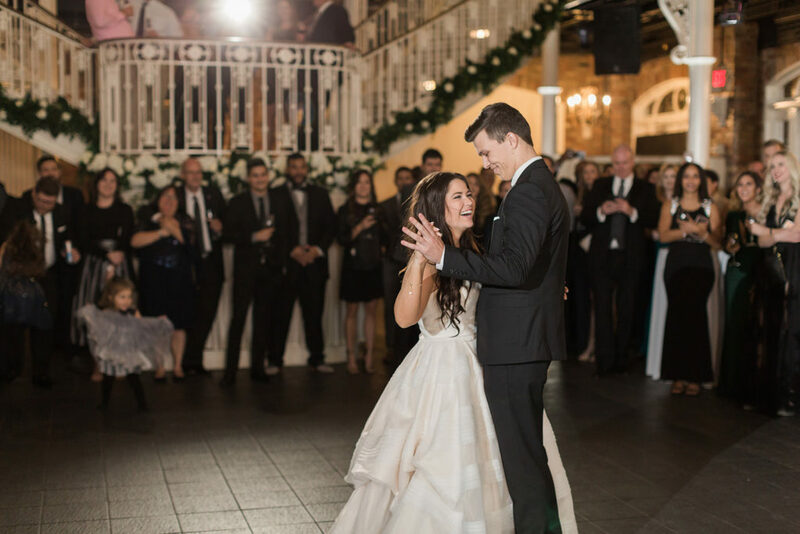 The dance floor was ready for an unforgettable celebration and as you can see from the images below, the newlyweds and their guests had the time of their lives! 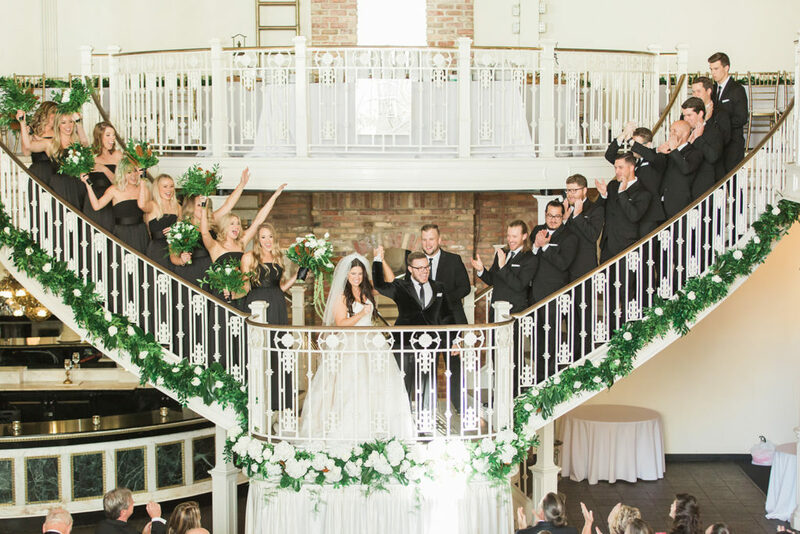 Christina and Randy’s wedding was nothing short of show-stopping! 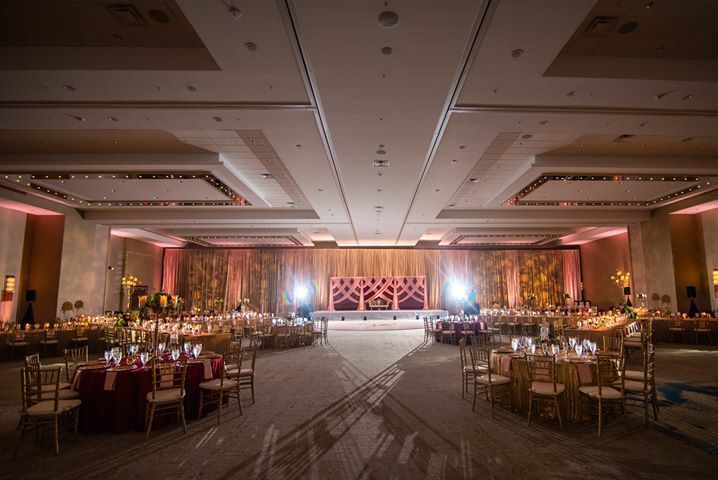 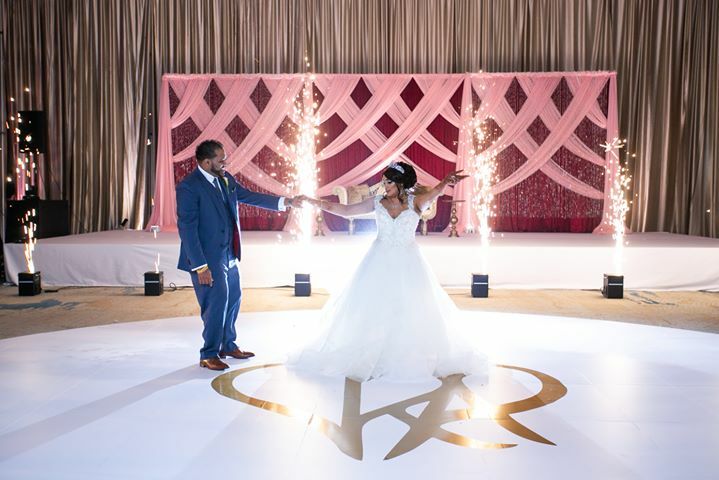 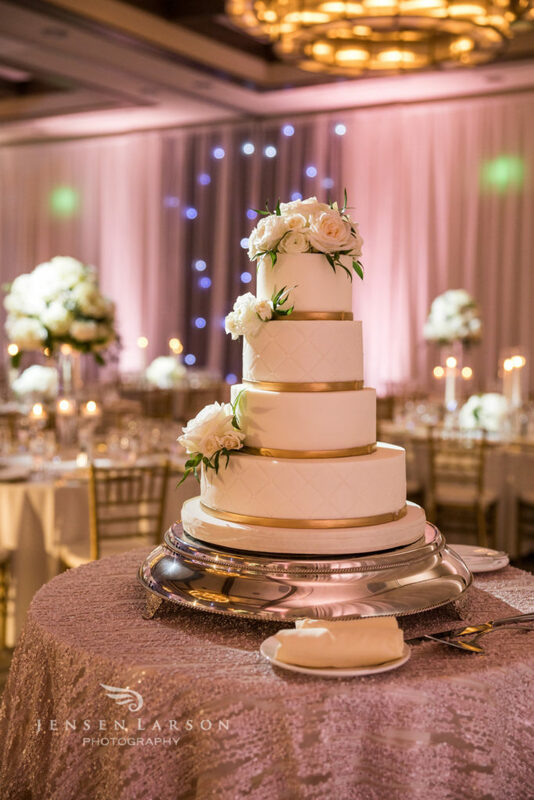 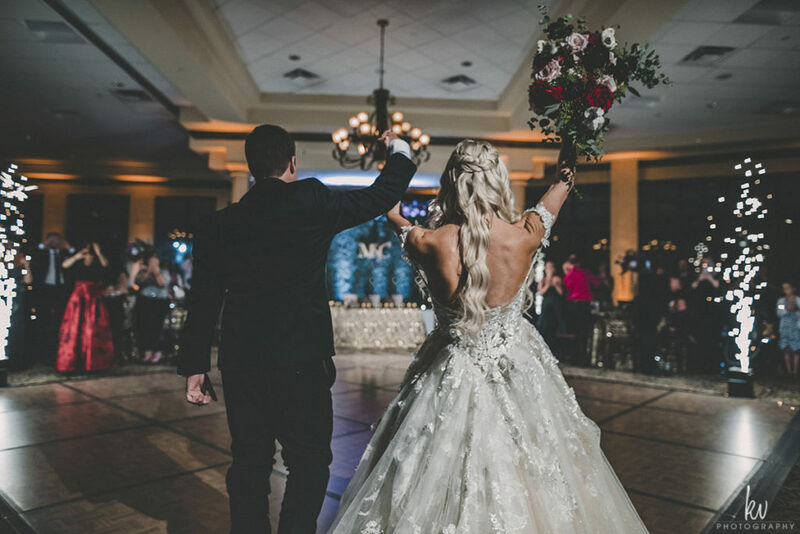 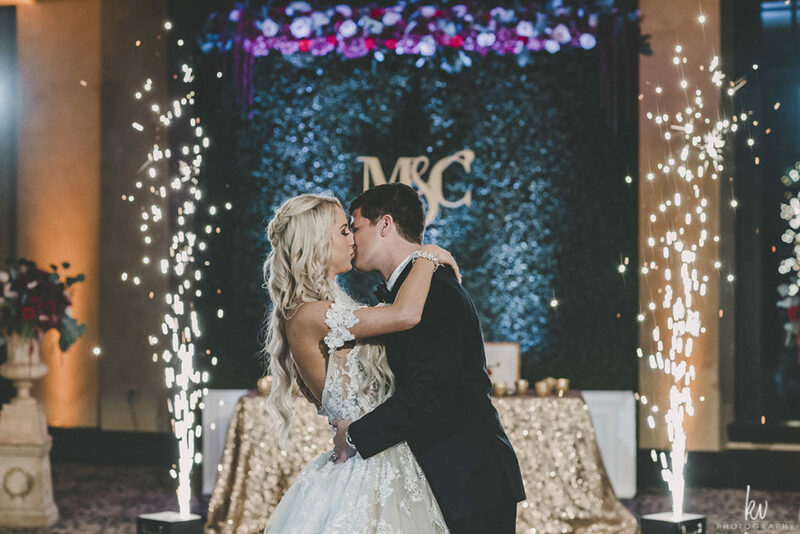 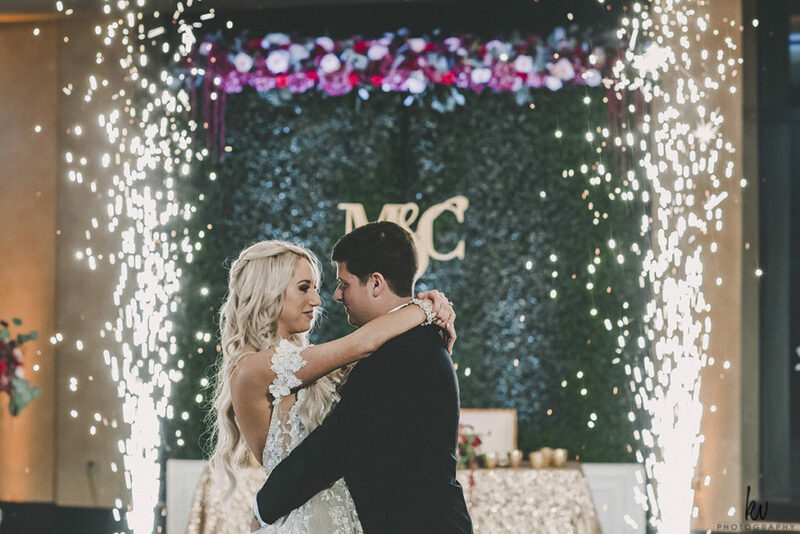 From the gold chiavari chairs and their stunningly high centerpieces to the intricate backdrop and monogrammed dance floor, this wedding was a visual masterpiece! 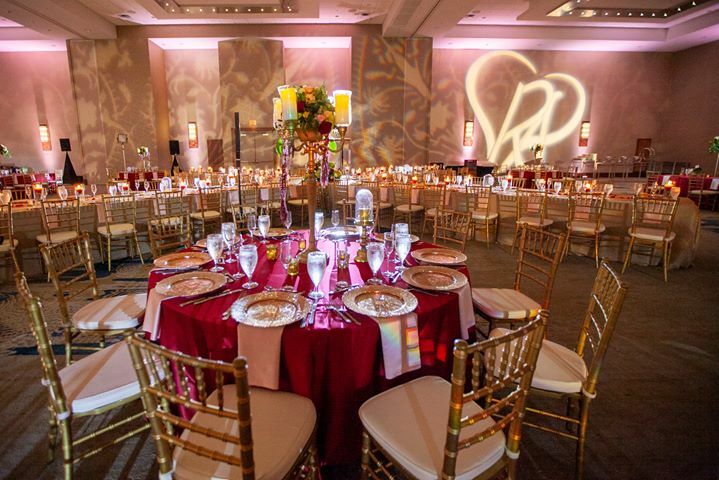 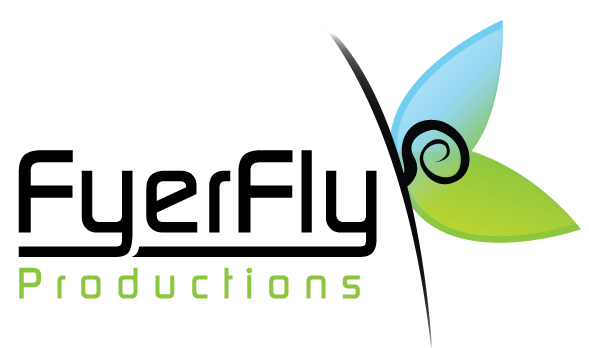 We really enjoyed lighting this event to ensure that guests didn’t miss any of the amazing details. 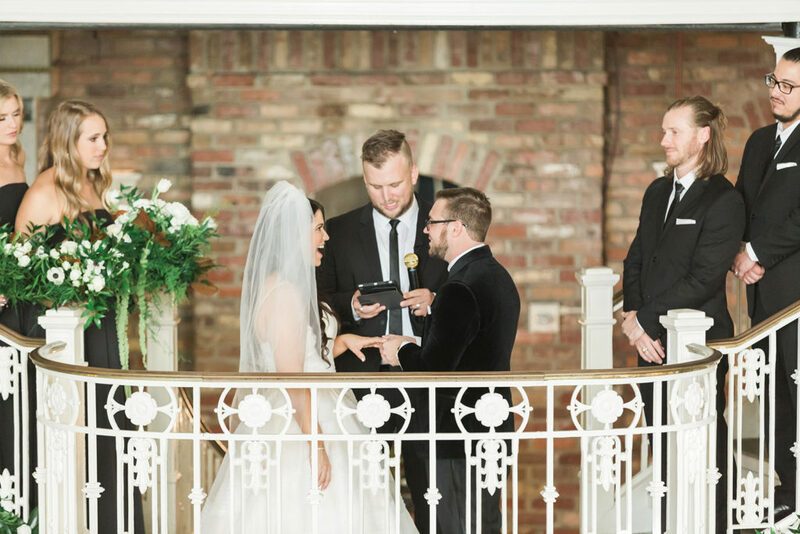 We are so thankful that we were able to play a special part in Christina and Randy’s day. 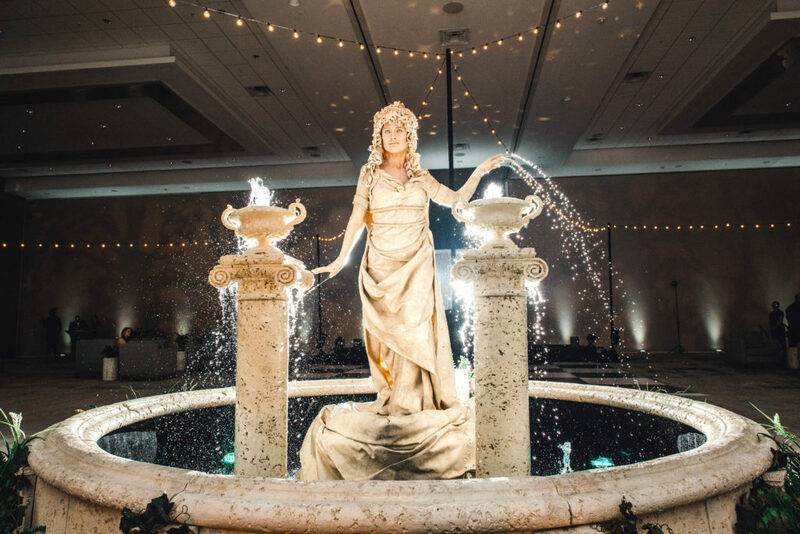 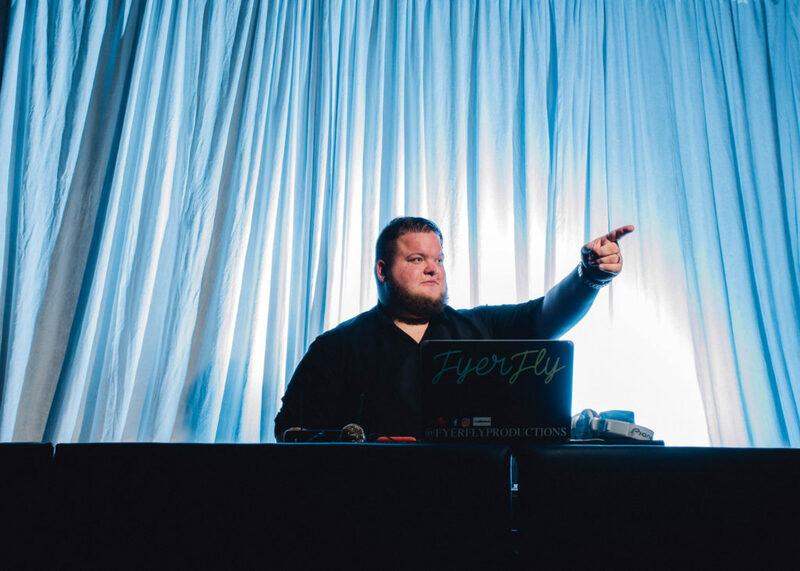 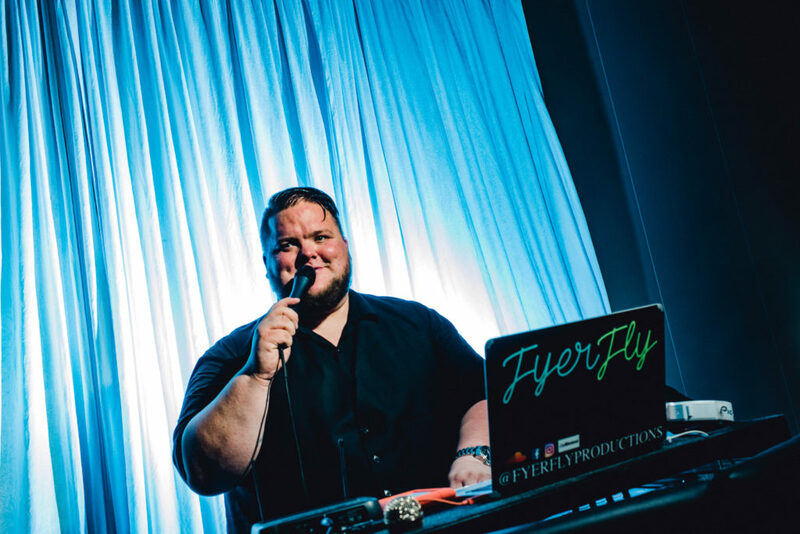 When they took to the dance floor, all eyes were on them while our FyerFly Fountains created a perfect ambiance. 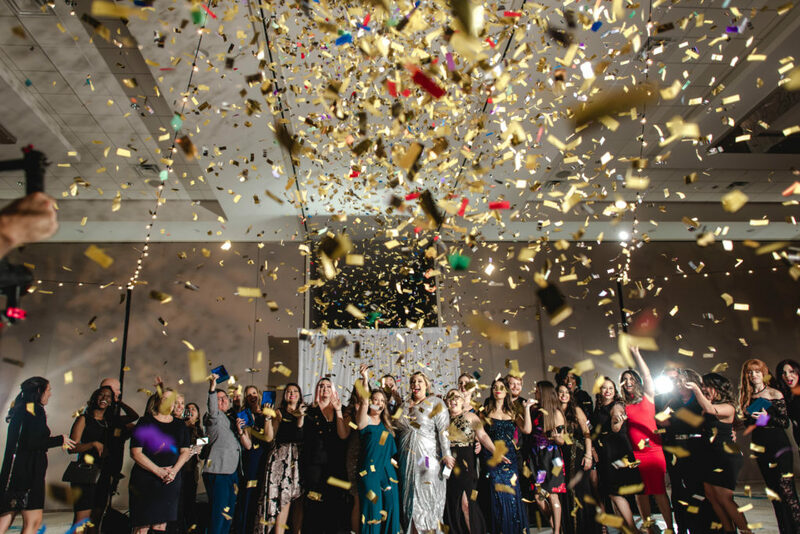 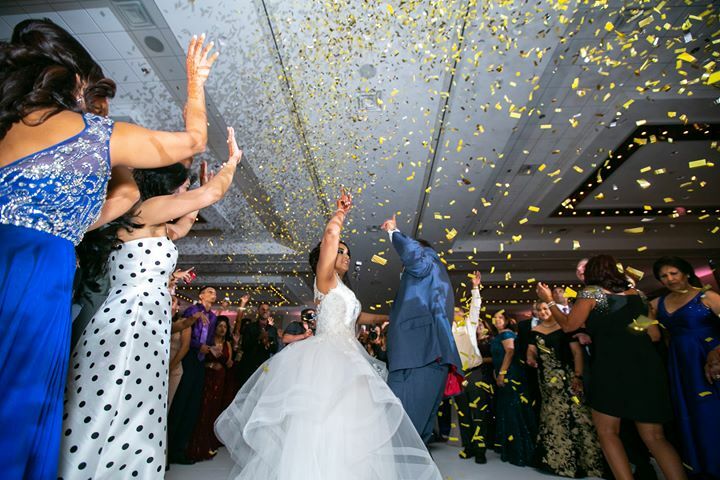 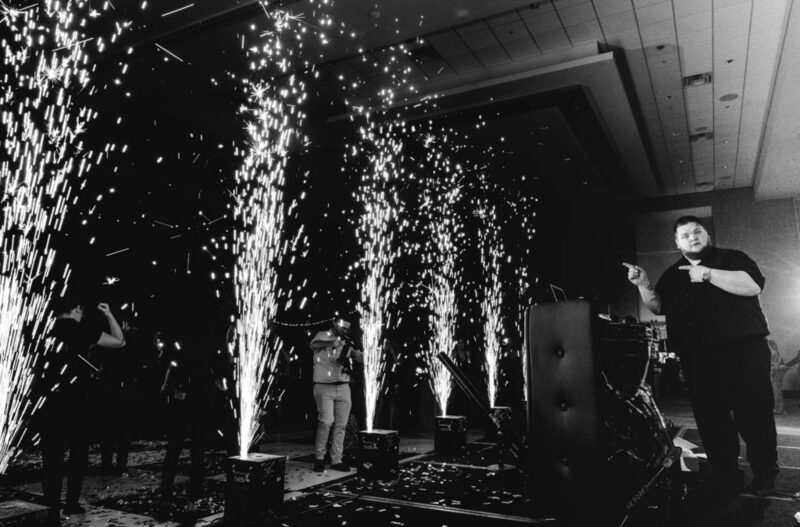 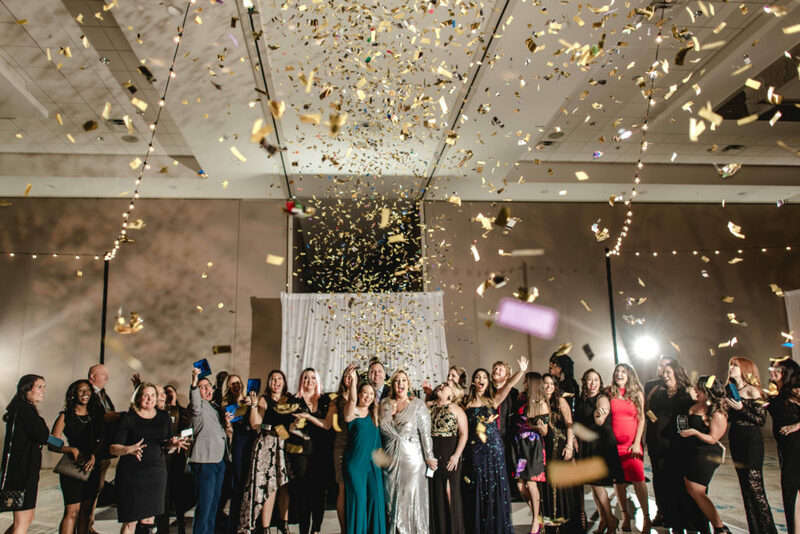 Towards the end of the night, the bride and groom truly blew their guests away with our unforgettable confetti drop. 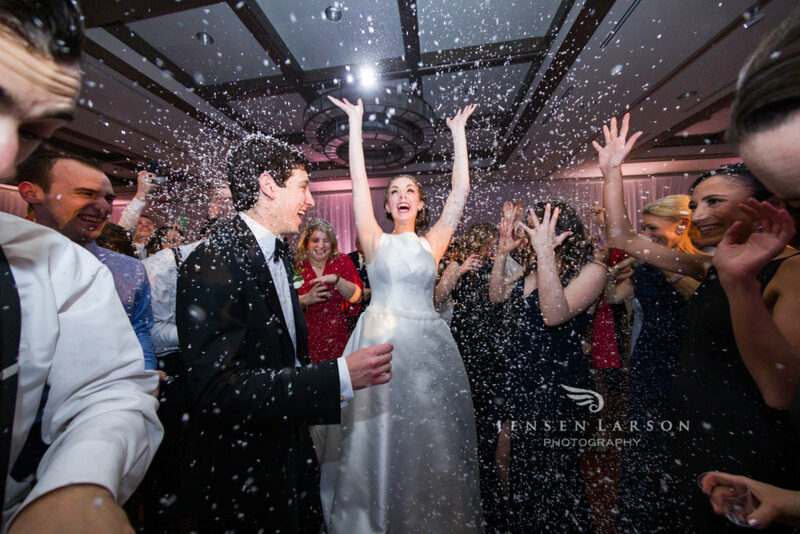 Here are just a few of our favorite images from this amazing night.